I'm surprised I like gardening. As a little girl, I remember my mom asking us to help in the vegetable and flower gardens. My mom's gardens are the biggest and most beautiful I've ever seen. She was definitely blessed with a green thumb, and I think her beds should be in the Home & Garden magazine; I'm afraid she's too modest though. A few years ago, my sister even got married in her circular rose garden (see photo below). Anyways, I used to only last about 5 minutes in the dirt. I hated how it felt under my fingernails, and the way the soil dried out my hands drove me insane! Fast forward 15 years and wouldn't you know it: I now talk to my plants (I call them my babies) and I can't wait to get into my urban patio garden every Spring. The apple doesn't fall very far from the tree I suppose, although I have a lot to learn before anyone gets married in my flower beds. 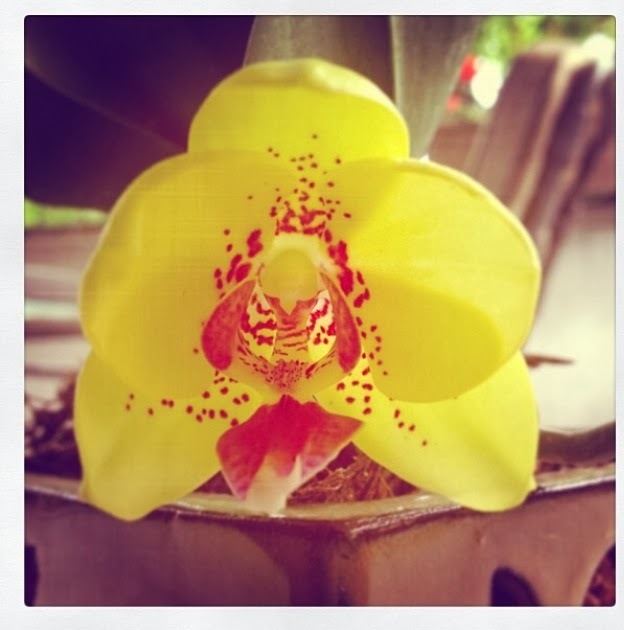 One of my most favourite plants are my orchids. You can enjoy them year round, and if you can find a caring system that works for them, they actually aren't too much work. 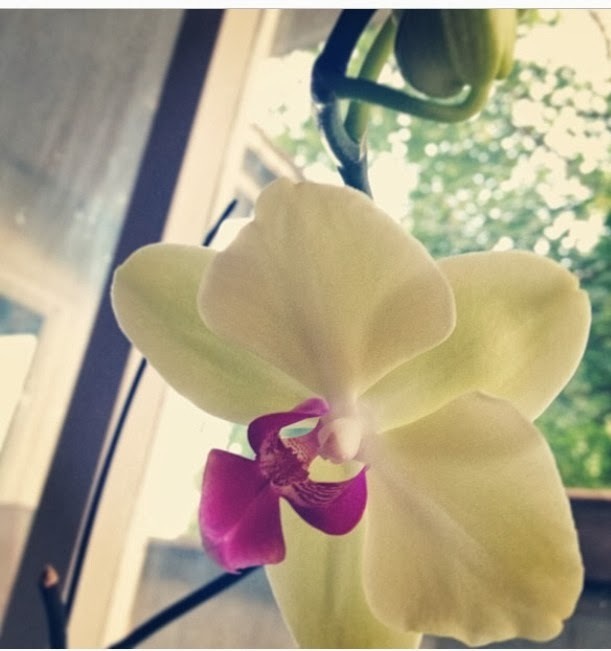 1) LIGHT: My orchids love the window they're in. They are facing south/west and I've read that this is the perfect direction for them. They don't like direct sunlight, as it will burn their leaves. I have a big ol' tree that is in front of the window, which provides the perfect amount of light and shade for them. In the winter, when the tree has lost it's leaves, I close my sheer blinds half way to shield my orchids from the burning sun. Having said that, they don't like being in a dark corner either. WARNING: These beauties queens are high maintenance. 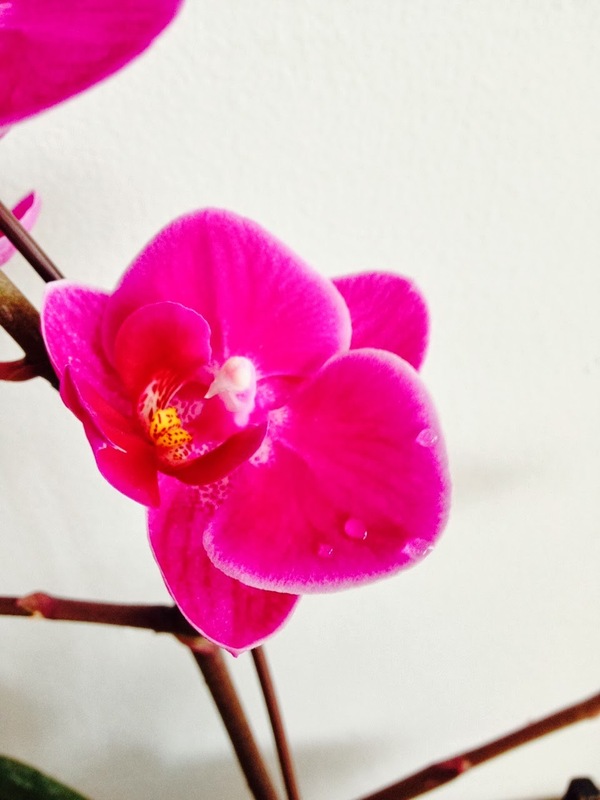 2) WATERING: You should water your orchids twice a month. 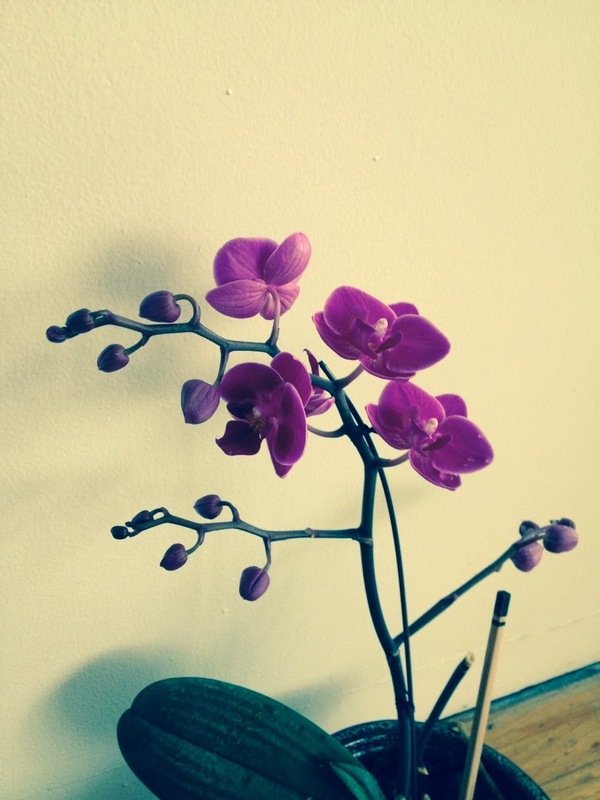 For the first watering of the month, drop in a dime size amount of orchid fertilizer to a big jug of water. I use a watering can. I put my orchids in the sink or the tub for their bath. Dowse them with water that isn't too cold, as it will shock them. Keep in mind, they originate mostly from the tropics. TIP: In between waterings, put a few ice cubes on their roots-they LOVE it! 3) LEAVES: If the leaves are brown or burnt looking it means they are getting too much sun. If the leaves are shrivelled and a bit droopy it means they are receiving too much water and/or are sitting in trapped water at the roots. Orchids with leaves that are yellow or red, probably aren't getting enough sun. You want your leaves dark green and quite thick. 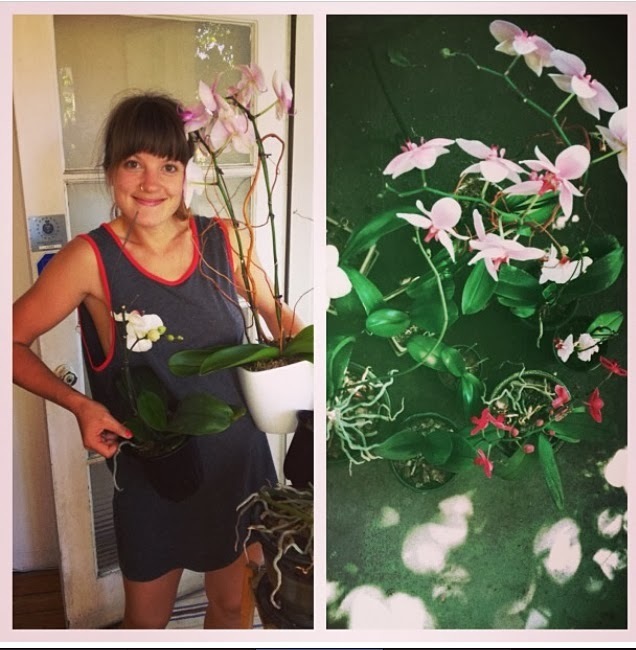 4) FLOWERING: If your plant hasn't flowered in awhile IT DOESN'T MEAN IT'S DEAD, so don't give up on it. It might mean that it isn't getting enough light. Some only flower once a year. They like being near a window, because they thrive off the cooler temperatures at night. This will help them to flower again and some blooms will last for several months. don't cut the stems back too far in case this happens to you. 5) POTTING: Definitely re-pot your plant after you buy it. The black plastic pots don't provide enough drainage for the plant. Buy a pot that has holes in the sides, with a saucer underneath. They're expensive, but so worth it. You can also add some more bark-based potting mix. 6) TALK TO THEM & LOVE THEM: No explanation needed!